Please Note: These modems are factory refurbished, so at one point your modem may have been operating in someone’s house before it was re-worked. In some rare cases our friends at the cable company may not have removed the MAC id address from their system. So why does that matter? Well, in some very isolated situations, we have seen the cable company deny activation on a refurbished modem. It has only happened a few times, but if you happen to be one of the “lucky ones”, relax, and know that you can email us immediately and we will make it right for you no matter what. The Arris SURFboard SBG6782-AC Cable Modem & Wi-Fi Router is the latest product available from ARRIS. In early 2013, ARRIS purchased the Home division of Motorola, acquiring the SURFboard cable modem portfolio. The SBG6782-AC is an all-in-one, best-in-class device equipped with a DOCSIS 3.0 Cable Modem, 802.11AC Wi-Fi, 4-Port Gigabit Ethernet Router and MoCA Networking. Equip your home network with the most advanced modem & router available today to enhance your Internet experience! Future-proof your home network with the fastest gateway on the market. This all-in-one device combines a DOCSIS 3.0 Cable Modem, 802.11AC Wi-Fi, a 4-port Gigabit Ethernet Router and MoCA Networking. The Motorola SURFboard Modem & Wi-Fi Router is equipped with the fastest Wi-Fi speeds available today – up to 1800 Mbps! 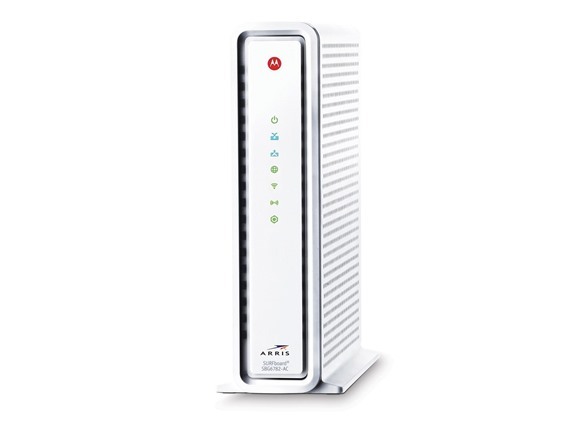 Plus a DOCSIS 3.0 Cable Modem – the latest standard – capable of downloading at speeds up to 343 Mbps via 8 download channels and 4 upload channels. Dual-concurrent radios provide a virtually interference-free network. Wi-Fi Beamforming ensures maximum performance and coverage. Plus it’s equipped with MoCA networking. Not sure what MoCA is? 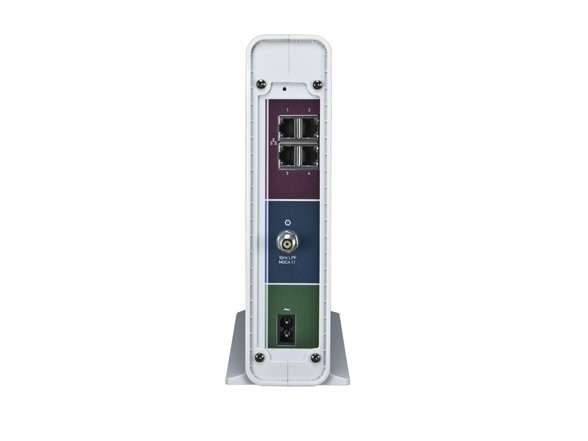 MoCA is a technology that allows you to create a wired Ethernet network over your existing coax wiring. For things like powering Smart devices – Smart TVs, Blu-ray players, Online Gaming Consoles – when the fastest, interference-free connection is imperative. No more buffering, jitter or lag-time. This modem is equipped with MoCA. Simply add a MoCA adapter to your network and you’re up and running in no time. The Motorola SBG6782-AC is simple to setup and use. Plug-and-play installation makes setup a snap. The Wi-Fi Pairing Button ensures a quick and secure connection for your wireless devices. Plus it’s IPv6 compatible – the latest Internet browsing standard. Front panel LEDs indicate status and simplify troubleshooting.